While Google is busy preparing for its October 9 event where it is so far speculated to bring the Pixel 3 and Pixel 3 XL, a Chrome OS tablet has been spotted that could debut alongside the new Pixel models. 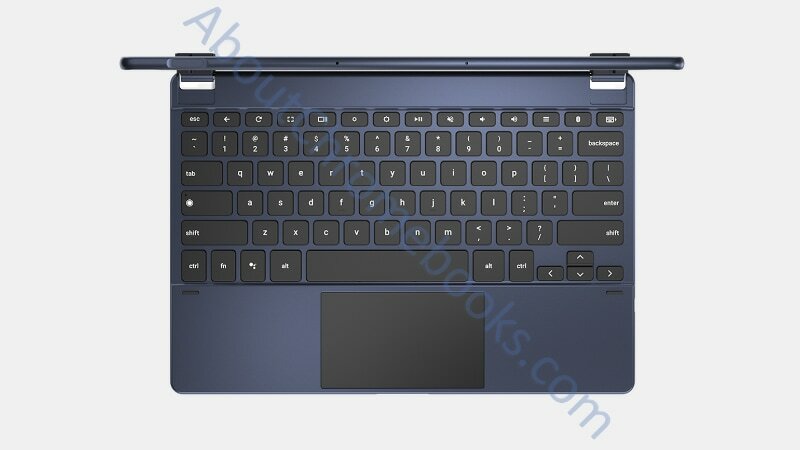 The Chrome OS tablet that is codenamed “Nocturne” is found to be leaked by a keyboard maker in some renders showing the detachable keyboard. The Chrome OS tablet appears to have iPad Pro-like rounded corners along with a thin build. The tablet has a USB Type-C port and dual frontal speakers. Similarly, the renders show a side-mounted fingerprint sensor. The tablet spotted in the renders is expected to be the first Chrome OS tablet by Google, though Acer already has the Chromebook Tab 10 that comes as the market’s first Chrome OS tablet. The renders that are posted by keyboard maker Brydge, shared by AboutChromebooks, suggest that the Chrome OS tablet is designed to take on Apple’s iPad Pro. It doesn’t feature as thin bezels as some of the recent Windows notebooks. However, it appears that Google is utilising the space at the top and bottom of the tablet by placing two speakers. The images also show the keyboard, which is presumably the key focus thing in the frame, that is connected with the table through a pair of clasps. This suggests that instead of any physical connection, the tablet can communicate with the keyboard via Bluetooth. Furthermore, there isn’t any branding on the entire frontal area of the tablet – giving another reason for being a Google product. At one side of the tablet, which is available in its another view, there is a little flat area that could be the power button with a built-in fingerprint sensor. Folks at Chrome Unboxed have already found some references of a side fingerprint sensor within Chrome OS. Google’s Chrome OS already was already found to have a snippet tipping the Nocturne tablet. It also expected that the new tablet could be accompanied by a second device that is codenamed “Atlas”. Moreover, both devices are likely to come alongside the Pixel 3 models at the October 9 event in the US. Having said that, it is possible that the renders might just be some mock-ups from the keyboard manufacturer instead of an actual Google tablet. We need to wait to for some time to get more evidence around the new development.